The use of the term “religion” as a general adjective to describe the different faiths practiced by the diverse populations in today’s world is problematic. For instance, it assumes their similarity to a degree which renders them interchangeable, and that any apparent differences in practice are insignificant in the big picture. In the west, when the term “religion” is used, the word is pregnant with a Christian understanding. This is not surprising since the western experience and background has been a Christian one. However, as the communication revolution is shrinking the world into a “global village”, and as the western culture becomes more diverse with increased immigration, it behooves one to qualify the term “religion” so as not to create a confusion, and more importantly so as not to be inherently confused. The importance of such qualification of the term “religion” lies in the fact that despite the values and ethics various religions share to different degrees, there are fundamental differences within them that touch on core foundations, which dictate a particular worldview that is unique to each. Examples of where the differences lie include the understanding of God, the relationship between the physical and metaphysical realms, as well as the position mankind takes in relationship to the physical and metaphysical realms. One of the most important differences between religions relates to how The World is seen. As a pre-emptive to the following lines for those who do not speak Arabic, it should be known that the Arabic language is based on root words, which for the most part are composed from three letters while in some cases from four. In other words, picture a tree where the root word is the trunk, and the branches are the different words that derive from it. Arabic has thousands upon thousands of those trees. In the Arabic language are two common terms used for The World as it is presented in the Quran. One word is عالم (a’lam), which is a branch from the three-letter root word ع ل م (a’ li’ ma’), which has a basic meaning relating to “that which is known”. The other word commonly used is دنيا (dunya), which is more interesting for me. In traditional Arabic, the second word was used to describe a branch of grapes that looks close enough to reach for and grab, but once one reaches for it they realize that it’s too far to be grasped. The understanding here is that one is under an illusion that the branch is close and they can reach it, but the reality of the matter is that it’s unreachable. 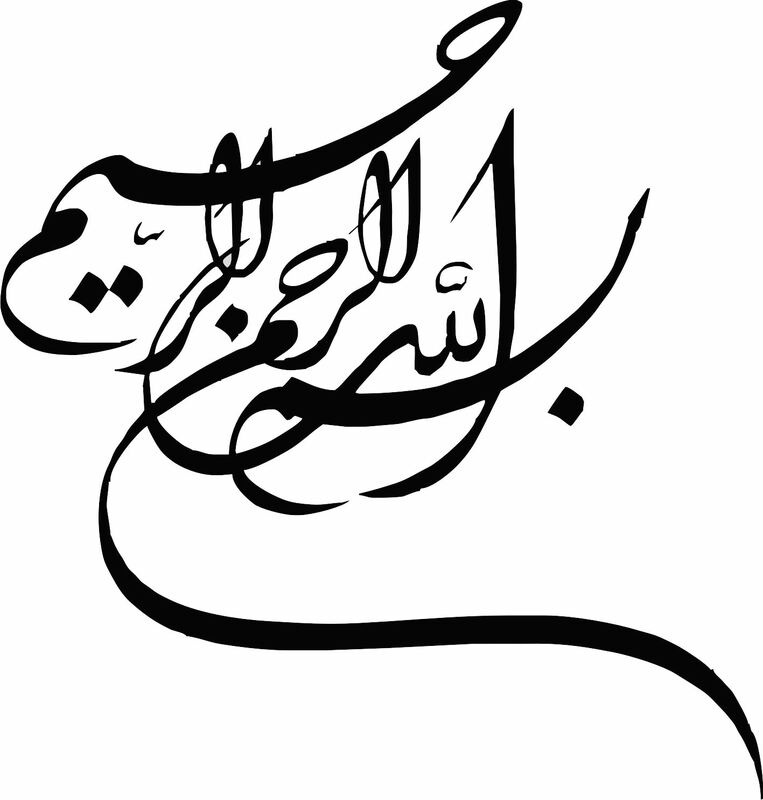 Linguistically, the word dunya comes from the three-letter root word د ن ي (da’ ni’ ya’), which means “to come close”, i.e. come closer to me (idnu’ ila’ia ادنو إلي). It also means “that which is low”. It should be made clear here that what I’ve done is not doing lexicological justice to these words, but it’s meant to bring them a little closer to light in order to give an accessible understanding to the topic at hand. Once the Arabic terminology is understood, how Islam treats The World in the light of faith becomes clearer. The World has two aspects to it from an Islamic point of view; one whose pursue is permitted, while the other’s is condemned. A common misunderstanding by many Muslims, especially ones who have lived and studied in the west is that a devout Muslim would view The World as “just a temporary state and has no meaning”. While this might in some way reflect an old traditional Christian understanding, albeit an incomplete and misunderstood one, the statement carries a correct notion about The World, namely its temporality, but overall is incorrect from an Islamic point of view. To call The World meaningless is to make everything within it a meaningless and vain pursuit. There would no longer be a point in demanding justice, seeking happiness, showing kindness, establishing good relations, or anything else that has to do with the human presence on this planet. It would then follow that everyone should give up and forfeit everything to the Next World and to simply suffer through a miserable existence, and while doing so dedicate their lives to a monk-like lifestyle in the mountains somewhere. On the other hand, you can reject such a notion and pursue a materialistic and hedonistic lifestyle for however long a time you have to live on this planet. Know that the life of The World is only play, and idle talk, and pageantry, and boasting among you and rivalry in respect of wealth and children; as the likeness of vegetation after rain, whereof the growth is pleasing to the farmer, but afterward it dries up and you see it turning yellow, and then it becomes straw. And in the Hereafter there is grievous punishment, and (also) forgiveness from God and His good pleasure, whereas the life of The World is but matter of illusion. Don’t despair about dunya for it is 6 things: food, drink, clothing, scent, a ride, and a mate. The best of food is honey, and it’s the excrement of bees; the best of drink is water, and all animals are similar in their need for it; the best of clothing is silk, which a bug makes; the best of scents is musk, and it’s a glandular secretion from deer; the best of rides is the horse, and on top of it men are killed; the best of mates are women, and they all decorate themselves in ways to cover blemishes. Some might misunderstand this verse, and in fact use it to rebuke the pursuit of material prosperity during one’s lifetime. This is a gross deviation from what the verse is actually warning against. The warning is against becoming a victim to the illusion, i.e. dunya. Such a point is addressed by Al Qurtubi in his work “The Secrets of Asceticism”. A superficial read of this book makes it seems that one should sell everything they own, give up all the proceeds, and live in a hut under a bridge. But a deeper analysis of what is said by Al Qurtubi brings to light what a misunderstanding this would be. It is not reprehensible to own a fancy house, drive a nice car, or dress and eat well. This only becomes a problem when one goes to an extreme and worse yet when one forgets that at some point it will all perish, and more importantly none of it will be taken to the grave. The problem is when one becomes emotionally attached to it. There is a vast difference between pursuing material things for their sake, and pursuing them for a greater purpose that they can be utilized for. Islam does not view The World as a meaningless place. Rather, it has an illusionary property that one can fall for as part of being in it, which is in reality the meaningless pursuit. In his exegesis Mafateeh Al Ghaiyb, Imam Fakhr Ad’Deen Ar’Razi mentions that this verse asks the rhetorical question to turn one’s attention to the fact that God has provided the adornments of The World to be enjoyed. In fact, Imam Ar’Razi states that the adornment mentioned in this verse encompasses anything that is considered to be as such, including anything used to take care of the body, any method of transport, all types of jewelry except for what is not permissible for men, food and drink, getting married, use of cologne and scent, and in a sense anything that can be enjoyed in this life as long as Islamic Law is not broken. In other words, if one has the ability to own a nice home, buy a nice car, eat at the best restaurants, wear nice clothes, go on vacations to new places every time they’re able to, and stay at the nicest hotels, while not forgetting their obligatory duties towards their family and the needy, they would be well within their rights and no one can say anything to them, for they would be exercising permissible luxuries that God has provided on the earth for them to enjoy. The caveat here is that all of these things must remain in their hands and never enter their hearts. This brings the issue of how to not let materialism encompass the heart. If one constantly indulges themselves in all they can just because they can, it will eventually be a corrupting force for the heart. Sometimes an exercise of self-deprivation should be undertaken just as a self-reminder that “things” are not the most important part of The World. One should not allow themselves to get used to having caprices and desires satisfied every time. Occasional periods of self-deprivation would serve to limit the growth of the monster of the lower self from within, and promote a better spiritual development. One notices this during Ramadan, which is a time at which the normally permissible action of eating and drinking is restricted during the day. Many Muslims observing this month notice themselves having a heightened spiritual awareness and the simple act of restricting food intake ends up helping in their journey of purifying their hearts and elevating their general states. This strategy could be applied to many other aspects in life as a method to keep the lower self of the individual in check. If one finds it bothersome to be denied a material and illusionary aspect of The World, it should serve as a sign that something is seriously wrong within their heart and steps must be taken immediately to purify their state. Imam Ibn Attiya mentions in his Quran exegesis Al Muharrar Al Wajeez Fi Tafseer Al Kitab Al Aziz that some of the scholars mentioned about this verse that the Community of the Prophet Muhammad peace be upon him did not exaggerate in their religion as the Jews have with their Law, and did not transgress in elevating a Prophet to a Divine status as the Christians have. In other words, for Muslims, religion is meant to bring a balance to one’s life. To obtain and maintain such a balance, one has to be aware of their inclinations and not enter into any extreme states of over- or under-indulgence. To bring this idea home, one has to look no further than to the Tradition of the Prophet Muhammad peace be upon him. One of the companions, Othman Ibn Matth’oon, may God be pleased with him came to the Prophet peace be upon him and had a conversation where he mentioned that he was basically looking to divorce the world, leave eating meat, not use perfume, and basically become and ascetic. The Prophet peace be upon him redirected this companion’s path towards the Prophetic way, which is the middle and balanced way. Giving up The World is not part of the Tradition of the Prophet Muhammad peace be upon him, and whoever disregards the Tradition of the Prophet peace be upon him will be prevented by the angels on the Day of Judgement from reaching the Basin of the Prophet peace be upon him. Islam is a middle way that requires a Muslim to have a balanced approach to The World. God has provided various blessings and luxuries for His servants to enjoy them while they fulfill their mission in The World of getting to know and worship Him. A Muslim should not be deluded by the illusionary nature of The World, and not allow material things to enter their heart. We all came to The World with nothing material, and we all will leave The World with nothing material. It’s not a problem to enjoy the material while we’re here. Just remember that it’s an incidental aspect of being here and not the reason for it. So long as all the “stuff” remain externally on your hand, and not be internalized into your heart – so that if you lose it you will be thankful for having had it but not upset for having lost it – you would be walking in balanced footsteps on the path of the Prophet peace be upon him.